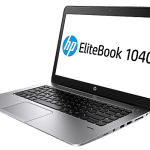 HP ProBook 640 G2 is a second-generation offering in its maker’s ProBook 640 series targeted at professionals and small businesses. The laptop brings along 6th-generation Intel Core processors and optional Full HD touchscreen as well as option of discrete graphics. We may be right to say this business notebook could be slimmer and lighter, considering it is a 14-incher. HP ProBook 640 G2 weighs in at roughly two kilograms while the thickness is 27 millimetres. Plastic is the main material used for the construction, but the quality is great. HP says the ProBook 640 G2 is ready to go the distance, having passed MIL-STD 810G testing. The 14-inch display has a resolution of 1366 x 768 pixels and offers legible reading in sunshine. If you prefer sharper colours and higher quality images, you can go for a unit with a Full HD screen. HP ProBook 640 G2 also has Full HD touch display option. Sixth-generation Intel Core i5 Skylake processors delivering clock speeds of up to 3.4 GHz get things moving along on the HP ProBook 640 G2. For improved performance, buyers can get models offering up to 32 GB of DDR4 RAM. Good graphics performance looks like a realistic expectation with the option of an AMD Radeon R7 M365X dedicated graphics card. HP offers solid state drive for enhanced performance and responsiveness. 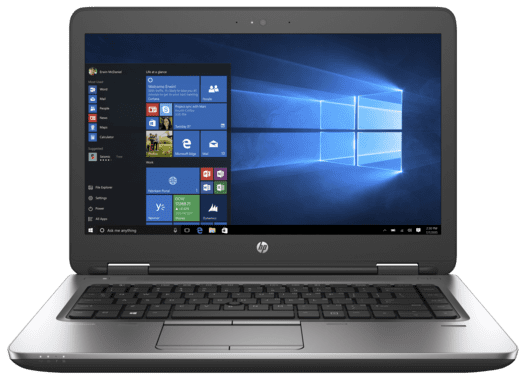 HP recommends running the ProBook 640 G2 on Windows 10 Pro operating system, but you can downgrade to Windows 7. The notebook comes with the usual ports and slots for similar offerings, including USB 3.0 ports and a USB Type-C port. Wi-Fi 802.11ac, Bluetooth 4.2, LTE modem and optional NFC are available for wireless connectivity, depending on model. According to its maker, the HP ProBook 640 G2 is for “executive-class” collaboration. It features HP Noise Cancellation Software, optional Skype for Business and an HD webcam. Dual integrated stereo speakers and HD Audio with DTS Studio Sound hold promise of respectable sound. 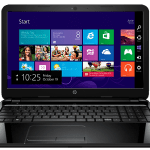 HP ProBook 640 G2 laptops are available Nigeria, Kenya, and Ghana. Price starts at around $859. The HP ProBook 640 G2 price in Nigeria starts at around 335,000 Naira, depending on your location and the configuration of the laptop. Price in Ghana is expected to start at around GH₵ 4589. HP ProBook 640 G2 price in Kenya starts at 110,500 KSh.